In today’s world, technology saves us so much time and makes communication utmost effective. We can easily talk on the phone with someone across the globe, but sometimes possibility to learn quickly who is ringing at your front door right now and being able to talk to a person is of higher importance. It has to do with security matters and gives you precious peace of mind. Modern front door intercoms are integrated with existing security systems and can be connected to your smartphone or tablet letting you control your front door even if you are miles away. It is especially important when you often have children or elderly people alone at home. At DNY Security it is our job to explore the market of latest technologies and provide our customers with exactly what they need. As authorized intercom installers in New York we deal with leading manufacturers of intercom systems such as Siedle, Aiphone and Comelit installers. Buying directly from the vendor we offer competitive prices and provide personalized assistance to our customers. People prefer video intercom systems to audio systems because it is always better to see once than to hear a hundred times. CCTV camera integrated watches over the situation at your property or facility. Video supervision provides utmost control of any suspicious or unwanted activity. Video footage can be streamed to your smartphone, computer or tablet, which ensures additional security. 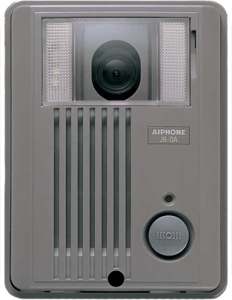 The products we offer are manufactured by high technology companies like Aiphone, Siedle and Comelit, which are the best at the market of video intercom installers. Please contact us and we will design a custom system to comply with your specific requirements. Whether you wish to upgrade your current home intercom or install a new one we are here to help. Follow video systems link below and see features video intercom that we offer. In apartment buildings, people prefer to install audio intercom systems due to their lower cost and easy installation. 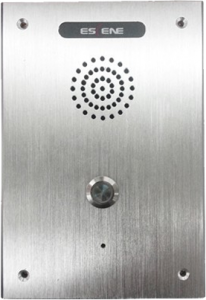 We offer high clarity audio intercom systems of reliable manufacturers Comelit and Aiphone installers, which are perfect for a building’s entry security needs. Common audio intercom models allow two-way calling and communication and usually consist of two units: an outside panel with apartment numbers and a simple indoor unit. Options that are more sophisticated feature an LCD or a touch screen indicating a directory of tenants. For the most demanding applications audio intercom installations can be used in a building for more than 120 stations with up to 3 parallel stations in each suite. Intercoms designed for multi-family or commercial office buildings are sometimes used for residential applications as well. Please check the product we offer by clicking the link below.